This study investigates the extent to which parents’ relationship quality affects children’s externalizing problems and whether the quality of the mother–child relationship and the family socio-demographic background moderate this association. We use data from a nationally representative sample of UK children (the Millennium Cohort Study) and OLS regressions models. We find that parents’ relationship quality is clearly related to children’s externalizing problems at ages 3 and 5 years and that the quality of mother–child relationships explains a substantial part of this association. Notably, a reported warm relationship with the mother does not reduce the detrimental effect of poor parental relationship problems, whereas a conflictual relationship exacerbates it. The effect of parents’ relationship quality is the same for children from different ethnic and marital status backgrounds, as well as for mother’s education and child’s gender, but is greatest amongst poorer children. At age 5, poor children with the lowest level of parents’ relationship quality have an externalizing score of 7.21 while poor children with the highest level have a score of 4.16; a 3 point difference. In contrast, among rich children, those with the lowest level of parent relationship quality have an externalizing score of 6.16 while those with the highest level have a score of 4.01; a difference of 2.15 points. These findings suggest that policies and intervention programs that promote parents’ relationship quality are likely to be beneficial for children from different family contexts, but especially for those from poor families. This study was funded by Postdoctoral Program 2012 of Spanish Ministry of Economy and Competitiveness, Spanish Ministry of Economy and Competitiveness (CSO2015-69439-R) and by Abat Oliba University and “La Caixa” Foundation (project PROFAM). Acquah, D., Sellers, R., Stock, L., & Harold, G. (2017). 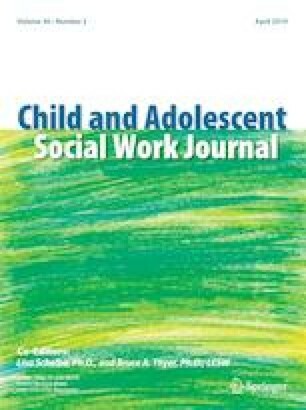 Inter-parental conflict and outcomes for children in the context of poverty and disadvantage. Early Intervention Foundation. http://www.eif.org.uk/wp-content/uploads/2017/04/interparental-conflict-children-poverty-economic-pressure_April2017.pdf. Accessed 6 May 2017. Callanan, M., Hudson, R., Husain, F., & Robert, E. (2017). Exploring parental relationship support: A qualitative study. Early Intervention Foundation. http://www.eif.org.uk/publication/exploring-parental-relationship-support-a-qualitative-study/. Accessed 6 Jun 2017. Carlson, M. J. (2007). Trajectories of couple relationship quality after childbirth: Does marriage matter. Center for Research on Child Wellbeing Working Paper. Accessed April 1, 2017 from http://crcw.princeton.edu/workingpapers/wp07-11-ff.pdf. Doherty, P., Stott, A., & Kinder, K. (2004). Delivering services to hard to reach families in On Track areas: Definition, consultation and needs assessment. Development and Practice Report, 15. Accessed March 1, 2017 from https://www.ncjrs.gov/App/abstractdb/AbstractDBDetails.aspx?id=205210. Doubell, L., Stock, L., & Acquah, D. (2016). Inter-parental relationship support services available in the UK: Rapid review of evidence. http://www.eif.org.uk/publication/inter-parental-relationship-support-services-available-in-the-uk-rapid-review-of-evidence/. Accessed 6 Apr 2017. Harold, G., Acquah, D., Sellers, R., Chowdry, H., & Feinstein, L. (2016). What works to enhance inter-parental relationships and improve outcomes for children. Early Intervention Foundation. http://dera.ioe.ac.uk/25869/1/what-works-to-enhance-inter-parental-relationships.pdf. Accessed 2 Apr 2017.